EK-FB GA Z270/Z370 GAMING RGB Monoblock is a complete all-in-one (CPU and motherboard) liquid cooling solution for a vast number of GIGABYTE® Z270X and GIGABYTE® Z370 motherboards. The monoblock is equipped with a 3-pin Digital RGB LED strip and it offers unparallel aesthetics alongside with superior performance, while the regular 4-pin RGB LED strip is included in the box! 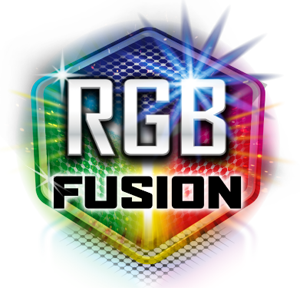 The both RGB LED strips are compatible with GIGABYTE® RGB Fusion, thus offering a full lighting customization experience! The monoblock is equipped with a 3-pin Digital RGB LED strip that connects to the motherboard's 3-pin Digital Addressable LED header. Another 4-pin RGB LED strip is included in the box that can connect to the motherboard's 4-pin LED header (if supported) or it can be connected to any other 4-pin LED controller. The LED strip cover can easily be removed for adjusting the cable orientation or replacing the LED strip with a custom solution as well! For every supported GA Z270X motherboard, the stock I/O cover is compatible with this EK monoblock. For every supported GA Z370 motherboard, the stock I/O cover is compatible with this EK monoblock. This EK monoblock will not interfere with M.2 Connectors on any of the supported GA Z270X motherboards. The built-in 3-pin Digital LED strip is compatible with the motherboard 5V Digital LED RGB controller.